SRH vs KKR: Which 3 players can play a crucial role in tonight's game ? IPL 2018 SRH vs KKR: Which 3 Players can play crucial role in tonight’s battle for final ? In few minutes, SRH will be locking horns with KKR for probably the 3rd time this season. KKR will be riding high on confidence following their 4 back to back wins and will surely eye for the 5th one against SRH. KKR will leave no stone unturned in ensuring a victory over them that too when they are playing in front of their home crowd of Kolkata. SRH having lost their previous match against CSK in the Qualifier-1 have this match as their last resort to make their way back into the finals and compete against the kings of IPL. They will have to put a stop to their back to back defeats in tonight’s game. ALSO READ- WILL KKR BE LIFTING THE TROPHY THIS SEASON? 3 REASONS THAT SUPPORT THE CLAIM! Both teams have sufficient firepower and will aim to dominate each other in what can be called as the race to the finals. The skipper along with Shikhar Dhawan will have to steer the SRH against KKR’s bowling attack that consists of T20 specialists – Narine, Piyush Chawla, and Andre Russell being few. This season he enjoyed a terrific run with the bat as he amassed 685 runs in 15 innings with 8 fifties at a striking average of 57.08. The level of destruction that Kane has unleashed this season would be something that will be remembered in the seasons to come. But the team’s over-reliance on him to put up good totals has been one of the side effects of SRH this season. Having lost to CSK in the Qualifier-1 , the entire pressure will be onto Kane Williamson to come up with some scintillating performance and guide their team to victory. ALSO READ- SRH VS KKR: WHO WILL GET THE BETTER OF WHOM IN THIS BATTLE FOR FINAL? The West Indian Player has been truly terrific this season as an all-rounder. He made the headlines in his first match itself when he smacked the CSK’s bowling lineup for an unbeaten 88 of 36 balls. Russell had his share of ups and downs on few occasions but managed to bounce back skillfully. The 30 year found his form at just the right occasion as he played the role of a match winner of KKR in their match against RR as he ripped apart their bowlers for an unbeaten 49 of 25 balls. He has also been highly helpful as a partnership breaker during his bowing spells. Till now, he has taken 13 scalps and scored a decent 313 runs. KKR will surely expect him to emulate his Eliminator performance for one more time in the battle for final. The 19-year old’s inclusion in the squad has been a blessing for them since 2017. He has time and again proved his worth to the franchise with his highly puzzling and luring bowling which he uses to toy along with the opposition batting unit. This season, he has picked up 18 scalps in the 15 games at an economy of 6.91. His highly economical spells have been helpful in drying up the run rate for the opposition unit and choke them down to low totals. In their match against CSK in the Qualifier-1, he registered one of his best performances of the season and probably his best in IPL till date. In his 4 overs, he took 2 crucial wickets at the expense of mere 11 runs. IPL 2018 SRH vs KKR: Which 3 Players can play crucial role in tonight's battle for final ? 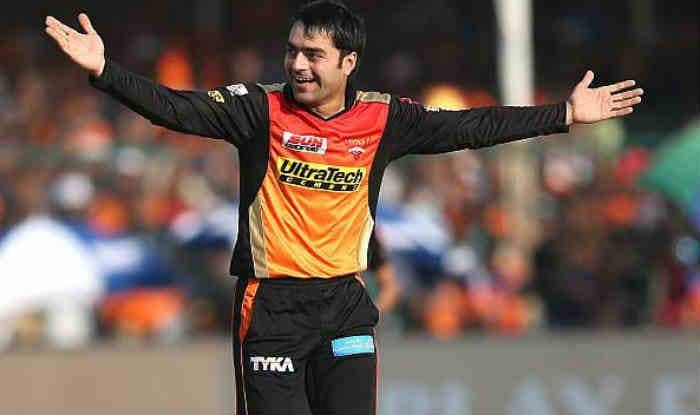 Previous articleTop 4 all-rounders of IPL 2018 : Who all made it to the list ? Let’s find out !